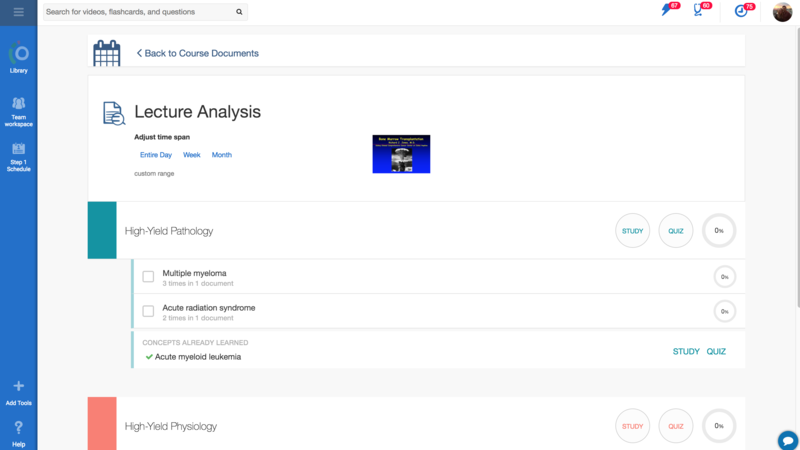 Osmosis has a number of unique features that help faculty, administrators, and students analyze and understand their curriculum. These are powered by the Osmosis document processing steps, which include full-text extraction of uploaded PDF, PPT, and DOC files and natural language processing to identify key medical concepts. Note that as of now only text that can be copy/pasted (so not image-based text) is extracted, though for the latter we intend to add OCR capabilities. Identifies the key terms in pathophysiology, physiology, pharmacology, and anatomy that were identified in that document and how often they came up. Adjust the time span to cover custom ranges, days, weeks, or month. 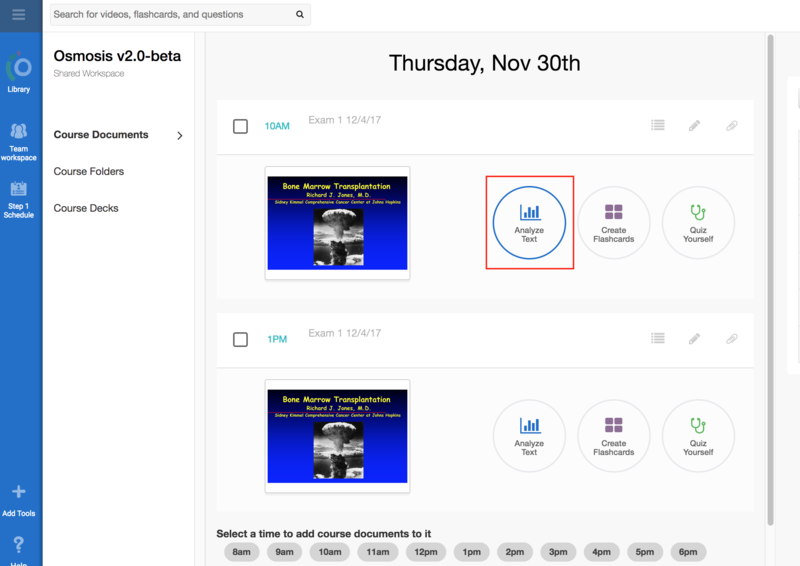 One of the most popular features on Osmosis that differentiate it from other sites that allow students and faculty to create questions & flashcards is the ability to link directly back to the relevant curricular material. For example, under the Course Decks > Filter by Calendar/Source you can review all the questions that were shared by members of your workspace. 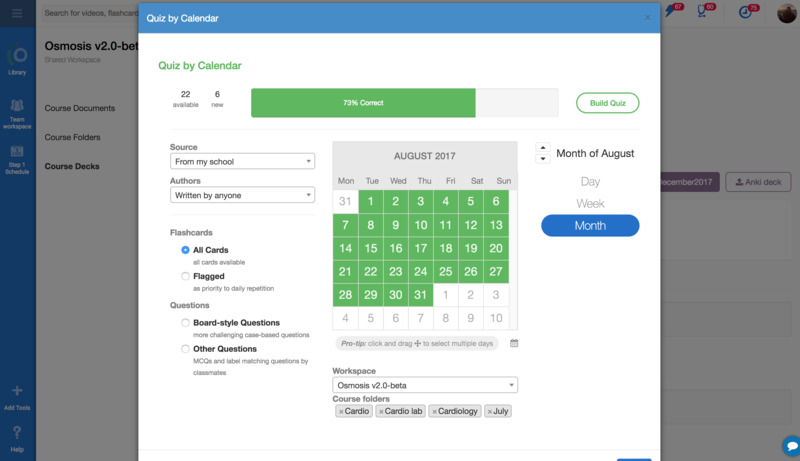 When you build the quiz and begin answering flashcards or questions you see the specific slide or page hyperlinked on the right so you can easily navigate back to the curricular material, keeping it at the top-of-mind.